Earlier this year while I was in northern California I met with Scott Goin, an officer with Nevada City PD. 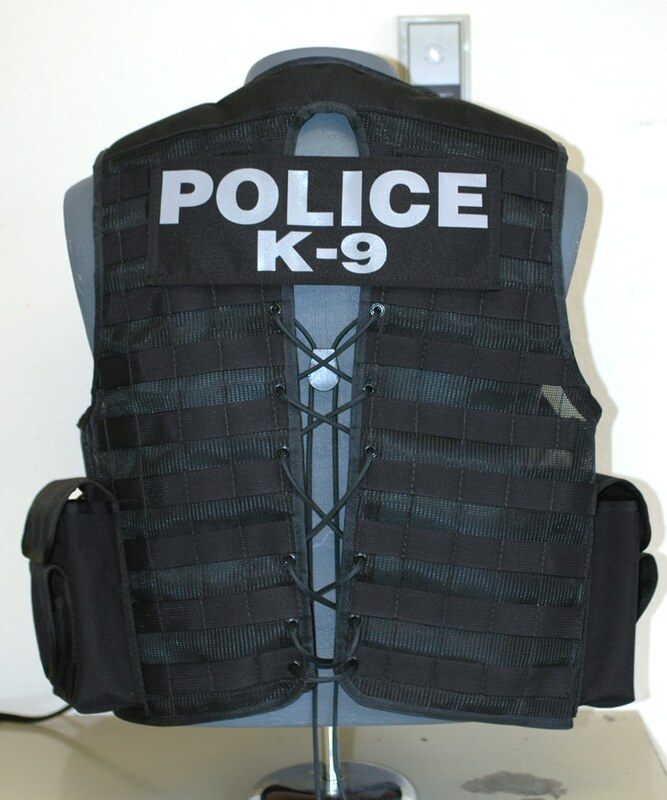 He has been using one of our vests that was made for the PD in the early ‘90s. He wanted to get fitted for a new vest and sit down to discuss design options that would better meet his demands as a K9 handler. 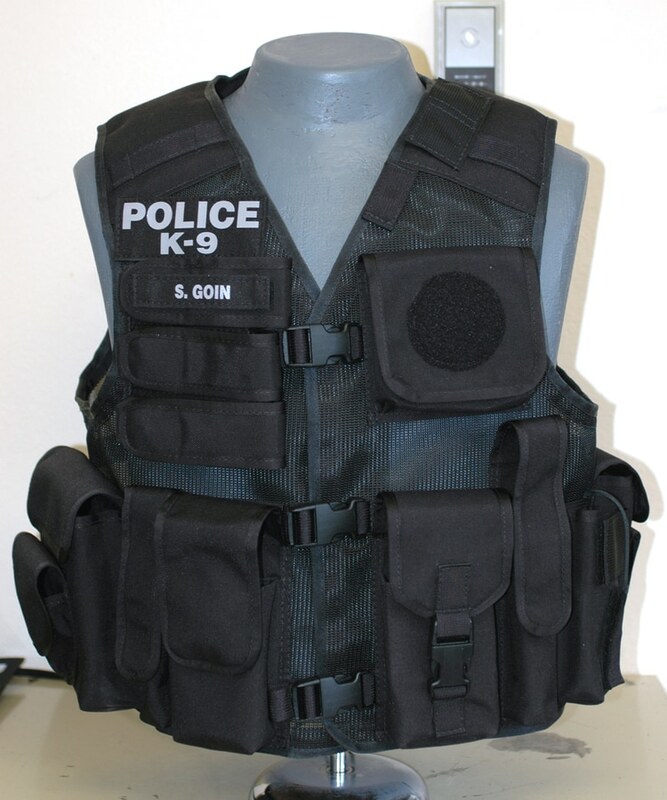 Officer Goin’s new vest includes pockets for the Taser X2, three pistol mags, M4 rifle mags, radio, and various items that he uses while tracking with his K9 partner, Rudiger. 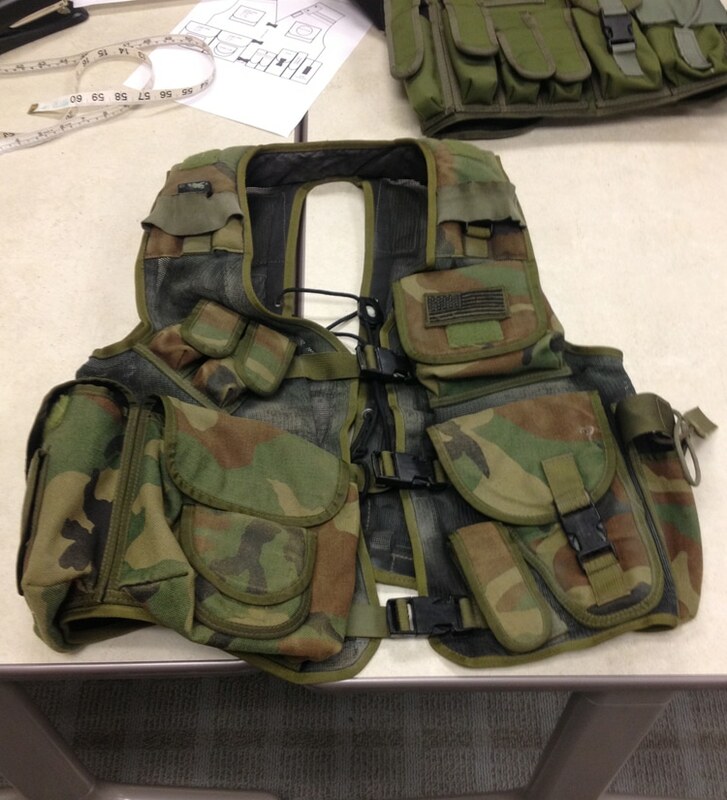 The back of the vest is set up with MOLLE for the attachment of additional pouches. It is very satisfying to see one of our vests that has been in use for over 20 years and is still holding up well. Scott is going to continue to use his old vest while out hunting four legged critters.